Styled with lincoln pant and carson trench coat . 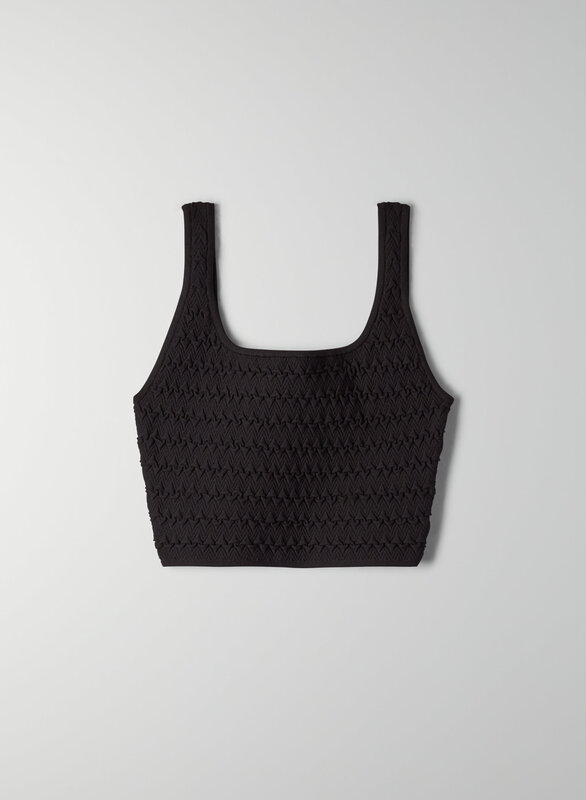 This cropped, knit tank top is finished with a textured pucker stitch. Babaton’s signature sculpt-knit fabric smooths and contours your shape.